I feel as though this post should have it's very own disclaimer; or at least a little bit of added context. The hair colour I'm donning at the moment is very much all natural, although I have done my fair share of experimentation in the past. Having initially gone bright red after high school (still talking about the hair here...) I eventually settled into the routine of dying my locks a 'black cherry' shade. Looking back it definitely wasn't the brightest idea I'd ever had and I was soon wishing to return to my dirty blonde roots... excuse the pun. Going back to blonde was a long and drawn out process, although it reality I can't see how it can be any other way, at least without the risk of causing your hair some pretty severe damage. Staying dedicated to the cause sounds like the most obvious piece of advice going, but it's a seriously important one and is something that I found surprisingly difficult. Depending on how you decide to lighten your hair it's likely that it will be done in stages; potentially leading to a few weeks of copper or peach tones. Sticking it out is a pain in the backside, but resisting the temptation to turn back to the bottle is so worth it in the end. Treating the hair and keeping it well nourished is key, but speaking from experience you really don't need to break the bank. I used oils from my kitchen cupboard (namely olive and coconut, fyi) to give my hair some much needed hydration and looking as healthy as was possible. If you can, speak to a professional. I eventually got my bleach blonde locks taken back to a more natural looking shade after the D.I.Y process, but I'd initially gotten advice from my stylist before even trying to go back to blonde alone. The advice she gave me was really helpful and I didn't feel at all pressured into getting the full treatment done at the salon. The fear of brassy tones can be pretty real but there are so many products out there to help eliminate them. Silver shampoo is the most obvious choice and really isn't too much hassle. Again, never be afraid to pop along to a salon and get some advice from someone in the know. Once you're at a shade you're happy with - give it a rest. Taking some time out from dying and bleaching the hair is crucial; saving you time, money and potentially hair. I got mine back to blonde by first stripping the colour from my hair completely using three hair lightening treatments spread out over the course of a couple of months. The exact names of the treatments I used have completely gone over my head now, although any box of hair lightener from Boots that was offer was the way forward for me. I then used an ashy golden blonde over the top in order to keep it looking as natural as possible. In the end I did decide to splash the cash and get my hair taken back to it's natural shade at the hairdresser (she took a sample from my roots and made the custom dye up there and then) although I don't think I necessarily needed to. 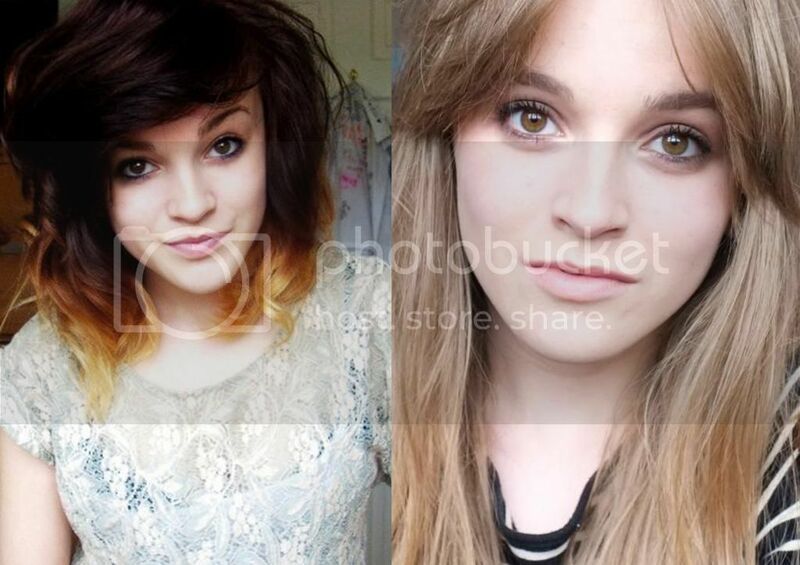 Once I'd got it to a similar shade to my natural one the regrowth was obviously a lot easier to manage. Looking back I wish I'd stayed away from the dye altogether as my hair has never quite returned to the same condition, but going back to blonde really needn't be considered an impossible task.